The word ”seaweed” is often used to describe perennial macroalgae. So, what are perennial macroalgae? The term perennial is used in botany to describe how long a plant lives. Perennial means that the individual lives for several years. The opposite, only living for one year, is called annual. A macroalgae is an algae we can see with the naked eye (macro – large) as opposed to microalgae (micro – small) where we need a loupe or a microscope to be able to see them. One of the major diffrences between algae and plants is that algae lack vascular tissue. Plants have developed an equivalent to our bloodstream in order to transport nutrients and water that is taken up by the roots from the soil to all the parts of the plant. The vasciular system also transports nutrients that is produced in the leaves by photosynthesis to other parts of the plant. In algae, water and nutrient uptake is directly over the thallus (body), making roots superfluous. Some algae have rootlike hapteres, but these only function as attachment to substrate. 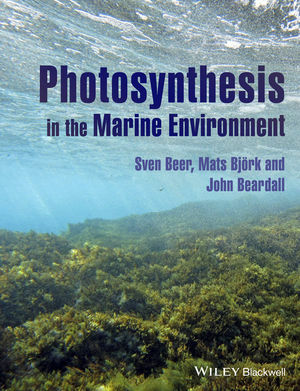 Photosynthesis in algae occurs over the entire thallus, so there is no need for any advanced nutrient transportation system, beyond certain connectivity between nearby cells. The flying insects evolved on dry land, wich favoured plants with flowers. Some land plants also use the wind to spread their pollen. Algar do not have flowers. Instead, they reproduce with spores, gametes (egg and sperm) or in some cases cloning (a part of the algae is torn off then re-attaches to another surface, thus forming a new individual). Some plants have returned to a life in water, but have kept their roots, vascular tissue and flowers. Amongst these are sea grass, water lilies and European bur weed.